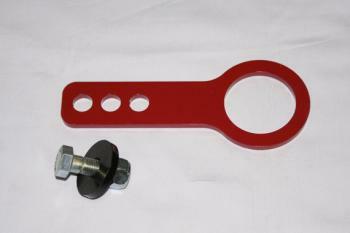 Nagisa Auto Tow Hook - Dezod Motorsports Inc - Home of the automotive performance enthusiast since 2002. Nagisa Auto Tow Hooks are very ruggedly constructed and offer simple bolt on installation of this important add-on. Tow hooks are required at many race tracks before allowing a car to race.